The warm weather has finally reached us! Hopefully it is here to stay. 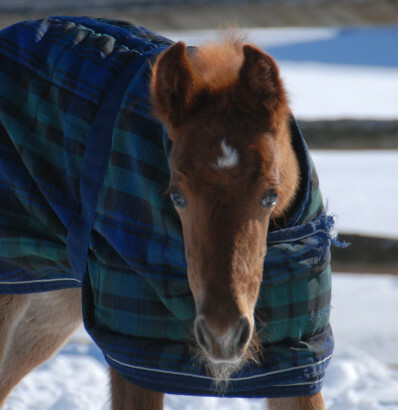 So far in 2016 we have welcomed four foals. First up was SSLLC Ring of Fire (ECP Anchor Man X One and Only). Both homebred from our very own stallion, we anxiously awaited his twin. SSLLC Walk the Line finally appeared three weeks later! In between those two, in the middle of a snow storm no less, SSLLC Perfect Storm (Dragonsmeade Icon X SSLLC She’s Got Legs) was born. Last but certainly not least was SSLLC Prestige (Minion Millennium X Aboria Victor’s Pride). We are counting down the days until the last three arrive! Then we can do an official photo shoot! !